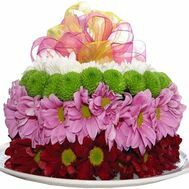 Cakes made of flowers are bright, colorful, almost fabulous gifts. 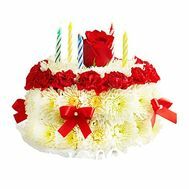 Combining all the charm and charm of flowers and a sweet presentation, they will help to congratulate you beautifully with the holiday, leaving in the memory a bright, not extinguishing over the years, warm trace. 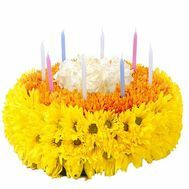 Such a cute cake is absolutely right for you on the nearest holiday! 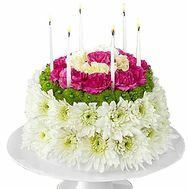 Floral cake: what is this miracle and where can it be used? 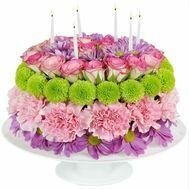 A cake of flowers will help you in any situation. 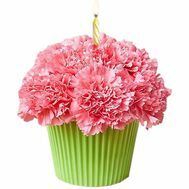 This is a bright and uncharacteristic composition that replaces both a normal bouquet and a real cake. 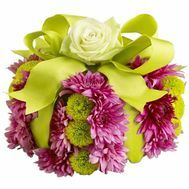 Collected from lush or on the contrary, smooth buds, it will attract attention as soon as it is delivered to the right address and remove the packaging. 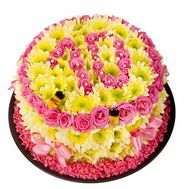 The way is beautiful and even with a joke to congratulate the most necessary and important sweet tooth. 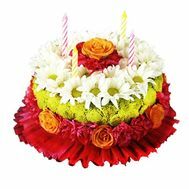 Our florists recommend buying a beautiful floral cake from real flowers for corporate occasions, for colleagues and superiors. 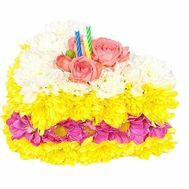 You can also buy a flower cake for Birthday to your little children, who will be delighted with the originality and beauty of the gift. 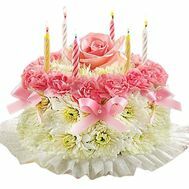 All you need to do is place an order, and our courier will deliver the cake at the exact time. 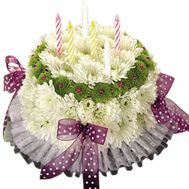 Our online flower shop has more than 10 years of experience with flowers. 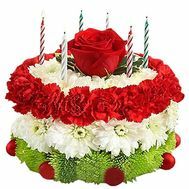 Already every second Ukrainian knows that we provide a 100% quality guarantee for every bouquet and composition compiled by our professional florists. 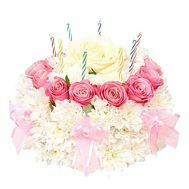 In our work we use only fresh flowers from trusted suppliers, and therefore our bouquets and floral gifts last longer than from other stores. Especially for your convenience, we have created a variety of ways to pay for the order: from the usual bank transfer, and ending with electronic wallets to any of the major currencies. We have the fastest delivery service in Ukraine. 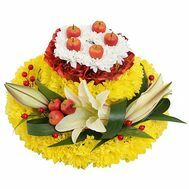 A pleasant bonus for customers is that we will deliver the order free of charge in any major city. About this and many other things you can read in the reviews about our work, as well as see a photo of the already completed deliveries. 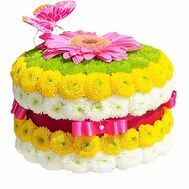 After all, a happy customer is an occasion for our personal pride!